The section on Northern Bank notes 1920-1927 has been completely revised with the addition of a new introduction page, and many new images, plus the addition of a new section listing of the dates of issue for the Northern bank in this period Northern Bank 1921-1927 Dates. Also added is a new section on Northern Bank overprints 1920-1921, notes from the 1920-1921 period which were overprinted for use in Northern Ireland after partition in 1929. Northern Bank 1 Pound 1921. 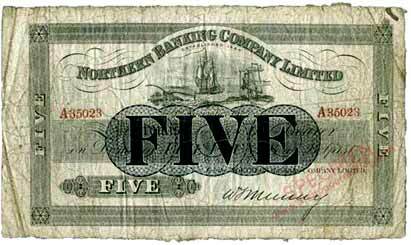 Ireland Northern Bank 5 PoundS 1925. Northern Bank 10 Pounds 1920. 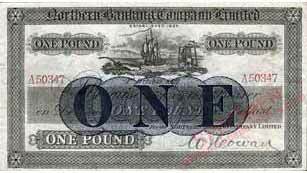 Northern Bank 10 Pounds 1921, Northern Ireland overprint. Good to see the section on overprints for N. Ireland included.